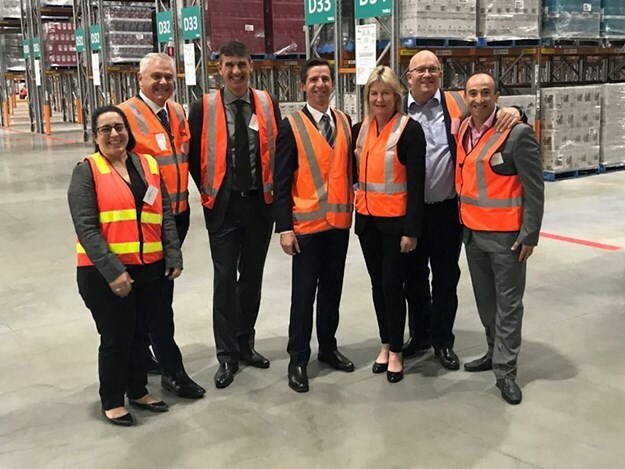 Treasury Wine Estates (TWE) has officially opened its expanded warehouse and distribution facility at Penfield, South Australia. While the development strengthens the domestic transport and logistics offering for the companies involved and shows the strength of the market they service, it is also viewed as helping bolster Australian exports in a competitive international market. That importance was underlined at the December official opening that saw federal trade, tourism and investment minister Simon Birmingham joined by the South Australian trade, tourism and investment minister David Ridgway, TWE supply chain services director David Alpen and other industry guests for a tour of the new facility, which is supported by intermodal operator SCT and transport and logistics firm Toll Group. The event also included a SCT export-import operational intermodal tour, with industry guests including Port of Melbourne, shipping lines, TWE and SCT executives. "This site has been in operation since 2014," SCT general manager ports development Matt Eryurek notes. "Each year, we move 10,000 export boxes via Flinders Port and Port of Melbourne. "SCT has over 50 hectares of additional undeveloped land at its Penfield estate that is available for businesses to take advantage of direct rail access to the Port of Adelaide and interstate distribution. 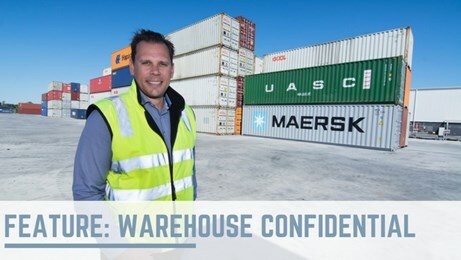 "TWE and CUB [Carlton and United Breweries], in locating at this site, have taken advantage of centralised freight connectivity for their business, particularly with other Australian ports. "There are opportunities to establish national and regional distribution centres at the SCT Intermodal Hub – Penfield. "Treasury Wines Estates is a valued business partner and as SCT Group we will continue to innovate new solutions to help them move their product anywhere around Australia or to port via rail." On officially opening the new facility, Birmingham congratulated TWE and SCT for the investment and their ongoing commitment to South Australia’s wine industry. "This expansion of the Treasury Wine Estates Penfield operation underscores the recent strong growth of Australian wine exports, which last year saw 60 per cent of exports originating from South Australia," Birmingham says. He notes such efforts are supported by the Comprehensive and Progressive Agreement for Trans-Pacific Partnership (TPP-11), which will see tariffs on Australian wine exports into Canada dropping to zero from December 30. "The more market opportunities our wine producers have, the more confidence they will have to invest in their operations and grow their businesses, which is good for our economy and helps to create jobs," Birmingham says. "This facility is a vote of confidence in the future of the Australia wine industry and I congratulate TWE for demonstrating its commitment and investing in South Australia and the national wine industry." Warming to the theme, Alpen sees the facility as priming TWE for long-term growth. "In order to take advantage of the opportunity in TWE’s export markets, the expansion of the Penfield dedicated wine distribution and logistics facility will help TWE in futureproofing our business," he says. "The new facility will be dedicated to the domestic market, which will free up capacity in the existing facility to become a dedicated export facility. "The Intermodal Hub provides TWE with access to the rail network that then runs straight in to Flinders Terminal and is the most efficient and effective way to export our wine. 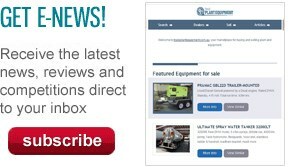 "The hub also allows us to consolidate our domestic finished product ready to ship directly to our valued customers. "The Penfield facility will include considerable freight infrastructure to reduce double handling and ensure the most productive utilisation of resources." Ridgway also welcomed TWE’s expanded operations, which he sees as due to have positive flow-on effects for the wider industry. "This major expansion represents a significant vote of confidence in the state’s economy and has the capacity to bring considerable tangible benefits – and additional jobs – to a number of businesses in the supply chain," Ridgway says. According to TWE deputy chief operating officer Tim Ford, the strategic relationships between TWE and its partners have played a critical role in the development of the expanded Penfield warehouse facility. "The SCT Group, who own the land and invested in these buildings, and the Toll Group, who designed the interior layout and undertake our domestic and export wine warehousing and distribution operations, understand our business and have worked closely with us to ensure this building was completed on time, within budget and to our specifications," Ford says. "It’s been an outstanding commitment to the task, by all involved." It aims to deliver greater efficiency in TWE’s container packing operations and domestic distribution functions, and help accommodate the global demand for TWE’s premium wine exports to over 70 countries around the globe. One of the key benefits of the location of TWE’s Penfield warehouse and distribution facility is its proximity to major road, rail and shipping routes, the company says. SCT and TWE’s relationship has been a long time in the making – well before the Penfield terminal had opened in 2011, SCT says. "The relationship really strengthened as we developed TWE’s Penfield national distribution and export warehouse," Eryurek explains. "This is where SCT not only took over a significant piece of domestic transportation moving wine to WA but also commenced running port rail shuttle services to both Adelaide and Melbourne ports," he adds. SCT offers TWE access to its truck fleet for pick-up and delivery, and its rail fleet, which encompasses more than 30 mainline locomotives, 600 pieces of rail rolling stock and over 500 rail containers. SCT provides five train services to Port of Melbourne. It has made some 12,000 truck movements last year, having exported 8,000 TEU containers. "In addition, we utilise trucking companies alike to assist with the empty collect from container parks," Eryurek says. "Our model is based on collaboration for the benefit of Treasury Wine Estates." With Penfield linked to a national rail and intermodal hub network, SCT has a total of six hubs around Australia: Forrestfield (WA), Altona and Wodonga (VIC), Parkes (NSW), Bromelton (QLD) and Penfield (SA). Its trains access most of the modern facilities in Australia. "Across the country at all our intermodal hubs, we have high interest levels from customers looking to relocate either manufacturing or DC’s close to rail," Eryurek says. "Penfield is a great site in a fantastic location with access to terrific road and rail infrastructure so we see great opportunities for other customers in the near future." The opening of its freight terminal in Bromelton two years ago has seen its customer list grow, with many looking to move from road to rail due to cost savings and environmental reasons. "This terminal now connects our rail network from Brisbane through Wodonga into Melbourne then via Adelaide to Perth," Eryurek says. "A large part of our volume growth has been on our south to north corridor, which specifically covers freight from Adelaide, Melbourne and north/north-east Victoria to Brisbane. "Inland Rail will allow for a larger catchment of exporters to bolt container volumes onto existing SCT interstate rail services." "This will provide added comfort due to consistent service and reliability. "Also, the frequency and volume will ensure the cost to port will be more efficient then existing ‘take or pay models’ on the market." The company has made significant improvements for its truck fleet last year, with more than 50 prime movers either added or replacing older trucks. The Penfield fleet will be upgraded this year (2019). SCT made the move to implement SAP technology four years ago, allowing its systems to "talk the same language" with its customers. "After a lot of hard work, we now have a system that offers customer tracking of freight down to pallet level and a suite of reports that can add real value to their business," Eryurek says. SAP is used to capture all of the TWE freight movements; from pick-up to delivery and invoicing to settlement. It contains all the information that allows SCT to deliver the freight to TWE customers across the country. It also allows for real-time reporting on all freight movements, with each pallet labelled and scanned – from truck to warehouse, to train and to the final destination. "Every movement is reportable and can be provided to TWE via the SCT customer service team or a self-service reporting solution," Eryurek says. The company no longer relies on a third-party specialist to source, support, develop and maintain its critical back-office solutions, he adds. "This has allowed SCT to become agile in delivering solutions for our customers. 10 to 12 weeks when the support was outsourced. "Of more recent times we have implemented MT Data into truck fleets throughout the country which is a real benefit from a safety perspective and also a tool to access further real time data for customers." SCT has also partnered with local Australian IT company WAVE to tailor its customised container management system. "This system is Australian-owned and preferred by Flinders Port," Eryurek says. "It allows ease of interface and data exchange." SCT looks to grow its port rail shuttle business and may even consider looking at new domestic corridors, Eryurek says. "Our solutions are based on customised client needs," he adds. "Our clients and SCT representatives workshop many initiatives based on today and future needs. "Like ports and warehousing, our clients will continue to drive us forward. "In simple terms, ‘if we move your freight to Perth and Brisbane we can also help you to the Port too’. "In this spirit we will continue to diversify to further benefit our clients."